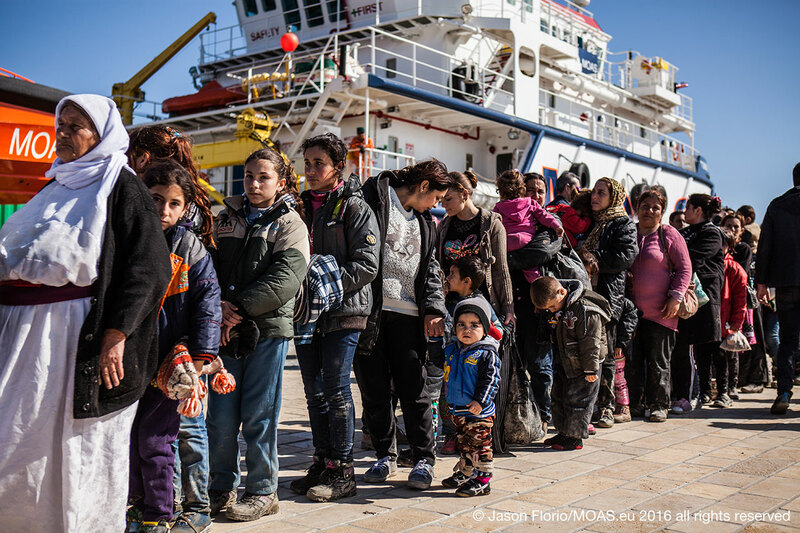 On 30 August 2014, our two-year anniversary, MOAS called for the creation of safe and legal routes as our crews continued to witness the horrors of the humanitarian crisis in the Mediterranean. Since then, the need for safe and regular alternatives to the sea crossing has only grown. Here, our Director and Co-Founder, Regina Catrambone, shares her reflections on her experiences on the MOAS search and rescue vessels, and how these experiences have shaped her and MOAS‘ conviction that humanitarian corridors are sorely needed to prevent yet more suffering. Dying at sea in 2017 is still an awful and needless reality, one which demonstrates how being born in the right part of the world still plays a major role in our ability to enjoy human rights. Life is not the same if you are born in the wrong place. According to MOAS figures, the people we rescue come mainly from Sub-Saharan African and both East and West African countries, the 3 most common countries of origin being Nigeria, Eritrea and Gambia. Many others we rescue come from Iraq, Syria and Afghanistan. All of these are countries from which people are fleeing war, terrorism, poverty, repression and violence. What would you do if you were in such a desperate situation? What would you do if you could see no hope for your child? Would you do everything you could to keep them safe? My experience has proven that trying to prevent desperate people from reaching Europe only exacerbates the risk of the journey, forcing them to find more and more dangerous routes. Mothers looking for a better future for their children, fathers wishing to support their families, and boys and girls who have experienced all kinds of violence and deprivation will not stop trying to reach Europe. Walls and fences do not discourage a person fleeing a war-torn country or an impoverished family looking for basic things like food, healthcare and an education for their children. 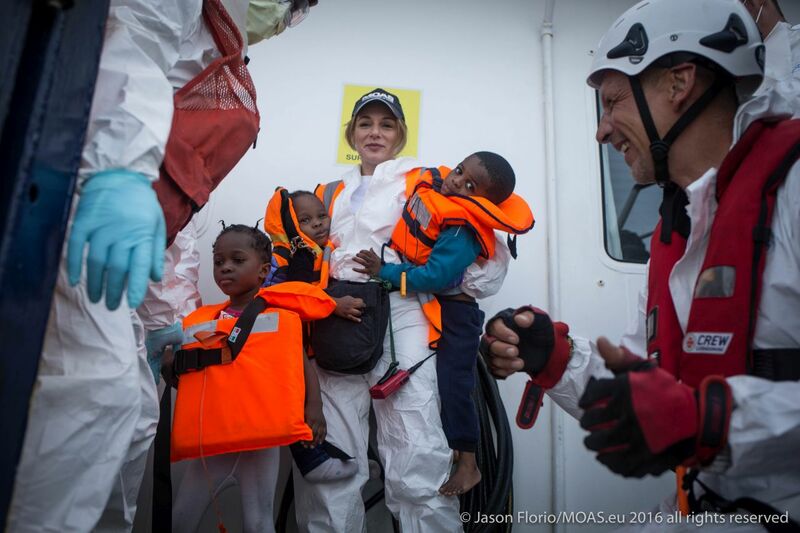 Taking part in MOAS rescue operations as a crew member has opened my eyes to a universal shared humanity, and has broken down any kind of barrier between myself and the people we rescue. When I look at a rescued mother with her child, I see myself holding my daughter in my arms. When I take care of the children, feeding them or playing with them, I can only think that their smile is the same as my daughter’s smile. We are all human and every human being deserves a decent life in a safe place, without the risk of torture, violence, and bombings. “It is estimated that around 90 per cent of refugees enter the EU in an irregular manner”, a European Parliament report states. This situation has many terrible consequences. Victims of war, violence and persecution are forced to pay smugglers and risk their lives on unsafe boats and dinghies to make their dream of safety a reality. Smugglers operate their deadly businesses with no respect for human rights or dignity. The German Ambassador in Niger has recently spoken of “concentration-camp like conditions” in Libya, where smugglers abuse and extort their prisoners with the ultimate goal of increasing their revenues. In the end, migrants are not just victims of war or persecution, but also often of human trafficking and inhumane treatment. They stop being treated as human beings, instead being used as a source of income for criminal networks. Against this dreadful backdrop, we must ask ourselves how we can reconcile the need for security – as highlighted so often by European countries – with the number of desperate people waiting to reach European soil. I, and MOAS, believe the answer can be found in international law, which provides safe ways to allow people coming from war zones to escape legally. Humanitarian corridors and visas are possible tools to manage current migration flows in a more rational, efficient and humanitarian way. Security has two dimensions: it does not only concern us as Europeans, experiencing the effects of large migratory movements, but it also concerns migrants themselves. It is time to expand our vision and open our minds to a universal understanding of security. If we finally enact a legal scheme of visas and corridors based on humanitarian grounds, the current situation will improve for both the migrant-receiving states and migrants themselves, who face so much danger and uncertainty. According to official figures released by UNHCR, 2016 was the deadliest year so far for deaths in the Mediterranean, with at least 5,083 migrants dying or going missing. These figures and statistics do not include those who silently die in the desert or are trapped in detention camps in Libya. They do not include the dinghies and boats that capsize without ever being spotted by official authorities. In Syria, the civil war is ongoing and people are being killed and left to starve in front of a largely silent international community. International law and its provisions to protect those fleeing war and persecution make no sense if we just stand by and watch the current humanitarian tragedy continue to unfold. The time has come to fight indifference and adopt courageous solutions through the opening of humanitarian corridors and safe and legal routes, allowing unprecedented security for both sides. Humanitarian corridors are designed to assist the most vulnerable, and will allow receiving states to give input on selection criteria of the people they will host. This means that integration programmes can be tailored to the needs of the people arriving, making sure that their talents and skills can thrive. In this way, people will not be forced to put their lives in the hands of smugglers, but may use a safe and legal way to find a better life in Europe. They will no longer have to risk dying at sea simply to ensure a safe future for themselves and their children. For all the MOAS news and updates sign up to our newsletter at the bottom of this page, and support our rescue missions by giving whatever you can to help us save lives at sea.